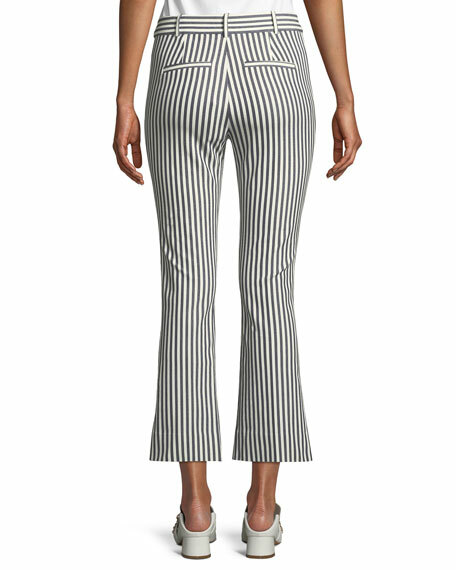 Derek Lam 10 Crosby striped trousers. 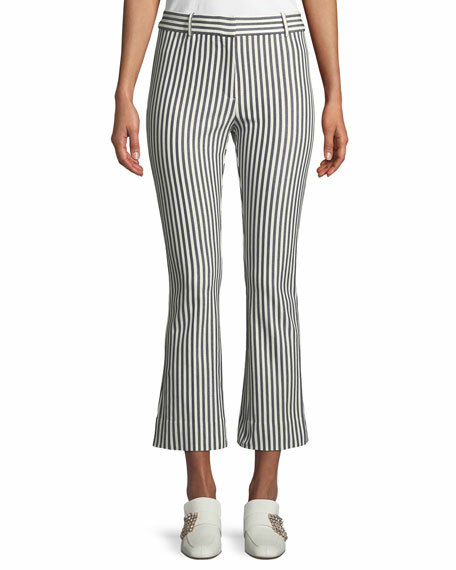 Fitted through hip and thigh; flared legs. For in-store inquiries, use sku #2609449. Masai "Peggie" culotte trouser pants in chambray. Elastic back sits comfortably at waist. Front slip pockets; back welt pockets. Pull-on style. Cropped at calf. Relaxed legs. Cotton; machine wash. Imported. Model's measurements: Height 5'10"/177cm, bust 33"/84cm, waist 25.6"/65.2cm, hips 35.8"/91cm, dress size US 2-4/FR 34-36. Partow "Ignacio" trouser in lightweight canvas. Mid rise. Flat front. Side slip pockets. Back besom pockets. Full length. Straight legs. Partow "Ignacio" trouser in lightweight canvas. Mid rise. Flat front. Side slip pockets. Back besom pockets. Full length. Straight legs. Linen/cotton. Made in USA of imported material. 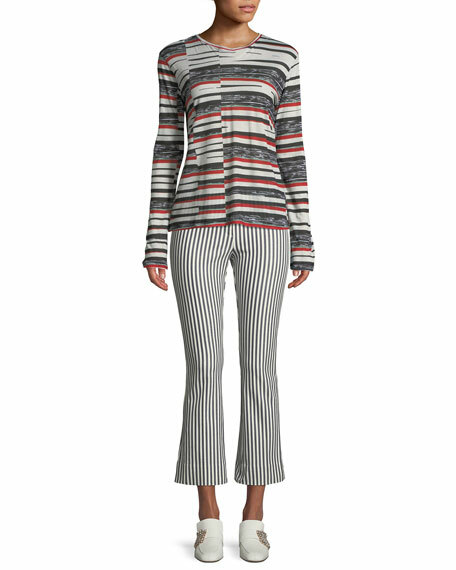 Model's measurements: Height 5'10"/177cm, bust 32"/81cm, waist 24"/61cm, hips 35"/89cm, dress size US 2/4.